A Dhaka court has fixed Feb 20 for the hearing indictment in Niko graft case against BNP chief Khaleda Zia and ten others. Judge Sheikh Hafizur Rahman of Special Judge Court-9 of Dhaka passed the order on Tuesday (Feb 12) after hearing arguments from prosecution and defence. Senior BNP leader Moudud Ahmed, an accused in the case, appeared at the hearing and challenged the legality of charge-framing. “There were eight persons who signed an opinion of the ministry regarding Niko, which the former Law Ministry submitted for the continuity of the agreement so that the reputation of the country remains unharmed, but only I am facing the trial. The other seven people are not made accused or witnesses of the case,” Moudud, a lawyer by training, told the court. 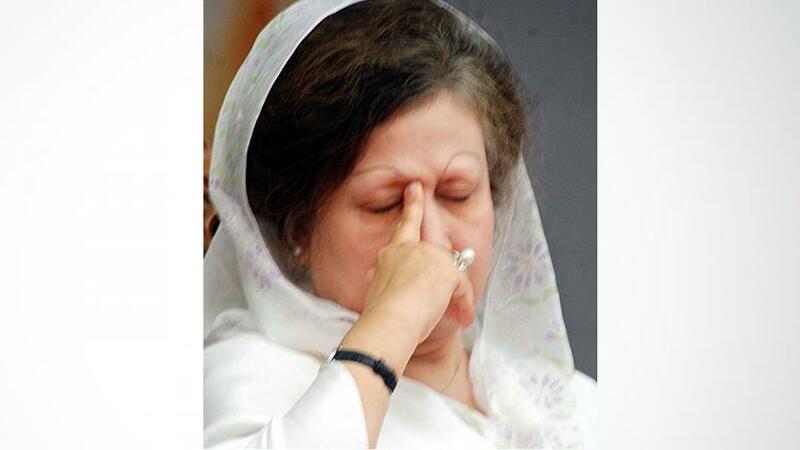 The Anti-Corruption Commission stared the case against BNP Chairperson Khaleda and 10 others in 2007 during the military-controlled caretaker government. They stand accused of causing the exchequer a loss of around Tk 137.77 billion by abusing power to award a gas exploration and extraction deal to Canadian company Niko during her 2001-06 prime ministerial tenure. The others accused in the case are former minister Moudud Ahmed, former state minister AKM Mosharraf Hossain, former principal secretary Kamal Uddin Siddiqui, former secretary Khandaker Shahidul Islam, former senior assistant secretary CM Yusuf Hossain, former general manager of BAPEX Mir Moinul Haque, former BAPEX secretary Md Shafiur Rahman , businessman Giasuddin Al Mamun, former president of Dhaka Club Selim Bhuiyan, and Niko vice-president for South Asia Kashem Sharif. The special court has recently been shifted inside the old jailhouse on Nazimuddin Road where Khaleda is serving 17 years in two other corruption cases.